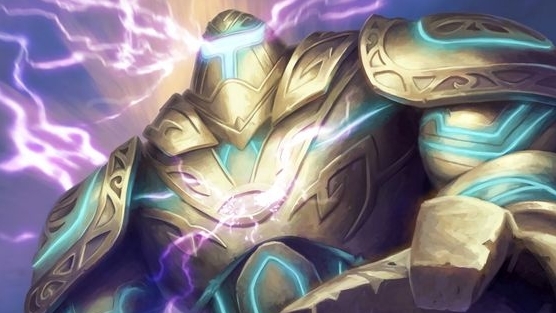 Our Malygos Druid deck list guide features the best Rise of Shadows deck list for Season 61 of Hearthstone (April 2019). Our Malygos Druid guide also contains Mulligan advice, card combos and strategy tips. Malygos Druid isn't a new kind of Hearthstone deck by any means, and it's an archetype that's been experimented with continuously throughout expansions gone by. The deck was heavily played during the Boomsday meta, reaching Tier 1 status and establishing itself as a must-play for anyone who mains the Druid class in particular. As a very broad explanation of how the deck works, you play Malygos Druid by ramping up your Mana resources considerably faster than your opponent, before dropping an explosive barrage of damage into their face. This you achieve by combining the mighty Malygos Druid with your hugely empowered spells, and then slamming all of that lovely damage right into their face. Our guide to playing this Hearthstone archetype has been updated with the latest deck list that's seeing competitive play on the new meta ladder. We've also got a huge amount of strategy advice for playing it against both fast and slow opponents, as well as tips for Mulliganing the deck correctly. After that you'll find a breakdown of all the combos in the decks, followed by a look at possible card replacements. Once things have settled down a little we’ll be overhauling all of our deck guides, including this one. For now, the content below this point refers to a previous version of this article and may no longer be relevant. This is the current version of Malygos Druid that’s seeing the most play during the early stages of Rastakhan’s Rumble. VIDEO GUIDE - Before we go on, we highly recommend watching YouTuber Old Guardian's take on how to play Malygos Druid. The deck list will likely be a little out of date, but the tips on how to play the archetype are essential viewing. Malygos Druid is a fairly straightforward combo deck that aims to control your opponent during the early to mid game while setting up some huge burst damage with cheap spells and the five bonus spell power from the deck’s titular dragon. Ideally, you’ll be able to execute this combo in a single turn, with cards likes Flobbidinous Floop and Twig of the World Tree giving you the wiggle room with extra Mana to play everything you need at once. Early game: As with any late game oriented Druid deck, your priorities at the start of a match will be to ramp your Mana as quickly as possible. You also have cards such as Ferocious Howl and Branching Paths to draw through to the combo pieces you’ll need in the late game. Make sure you don’t use Moonfire to clear minions – you have Lesser Jasper Spellstone and Swipe to clear an opponent’s board. Mid game: Continue ramping with Nourish. That choice is always correct over card draw at this stage of the game. You can keep stalling your opponent with cards such as Spreading Plague as you tick over into the late game. It’s also worth considering equipping Twig of the World Tree at this stage and begin working down its durability. Just be cautious of weapon removal effects. Late game: Here’s where the deck hits its stride. If you’re still waiting for Malygos at this stage, there’s still a lot of delay in your late game cards to keep you alive with Malfurion the Pestilent.. You also have Ultimate Infestation to draw through any remaining cards in your deck for those final combo pieces. When you’re ready to go, throw down Malygos, break Twig of the World Tree to refresh your Mana and then unleash all the burst damage spell you have in hand. For extra security, you can play Alexstrasza the turn before to cut your opponent’s health pool down to 15, or play Flobbidinous Floop as a four mana Malygos to really bump up your spell power and guarantee the kill. 1. You may feel yourself getting overwhelmed a little in the early game but it isn’t a disaster with all the removal and stall available in the deck. 2. If you can ramp up to five or six Mana quickly, cards like Spreading Plague will do wonders to stop fast decks in their tracks. 3. Use the early to mid game to cycle through your deck. Don’t worry about clearing every minion that comes down each turn – you can afford to take some damage! 4. As soon as you reach late game and start throwing down your bigger minions there’ll usually be too much for smaller aggro decks to handle. 5. Only Naturalise something if you’re truly desperate. You’d prefer not to give aggro more resources, as starving them out is the key to beating them. 1. Feel free to take even more time to ramp and draw in the early game, as neither of you will be in a rush. 2. Be very cautious, however, if your opponent can build up a lot of Armor. You’ll need to chip away at that, otherwise they’ll be able to survive your burst damage finisher. 3. Control decks are more likely to run weapon removal, so be careful when you equip Twig of the World Tree. It isn’t completely necessary to pull off the combo, but you’d rather have the option than not. 4. You have two copies of Naturalize, and so you have some room to deal with the biggest threats in control decks. 5. On the other hand, Spreading Plague will not be as effective against these decks. Use it to impede larger minions, or as an activator for a tempo play with Arcane Tyrant. There are only a few cards you desperately want to find in your opening hand so it’s worth using your Mulligan aggressively for the top three. 1. Wild Growth: The card you always want in your opening hand as Druid to start your Mana ramp as soon as possible. 2. Twig of the World Tree: An handy part of successfully executing the Malygos combo, so usually worth keeping if you find it. 3. Nourish: More ramp, so you definitely want it in your starting hand. - Casting Wild Growth grants you an extra Mana point for the remainder of the match. The earlier you play this spell the better. - Lesser Jasper Spellstone starts off doing two damage to a target minion and costs one Mana. If you gain three points of Armor, however, the damage value increases to four. Gain another three Armor and the card tops out as a six-damage spell. - If your opponent has four or more minions on the board, Mind Control Tech will choose one at random when played and add it to your side of the board. - Ferocious Howl draws a card from your deck, and then applies a point of Armor for each card you have in your hand at the time. - The following spells will allow you to play Arcane Tyrant for free on the same turn: Nourish, Spreading Plague and Ultimate Infestation. - Spreading Plague will continue spitting out minions until you have the same number of creatures as your opponent. This has obvious synergy with the card buffing option you have courtesy of Branching Paths. - When you hit End Turn, Dreampetal Florist will reduce the cost of a single minion in your hand by seven Mana. - Malygos increases the strength of the following spells by an extra five points of damage and is a key part of your win-condition: Moonfire, Swipe and Ultimate Infestation. These are some of the most important cards in Malygos Druid, as well as some substitution examples if you need them. Moonfire: Save this for your opponent’s life total once you’ve dropped one or two copies of Malygos onto the board for surprise lethal damage. Branching Paths: A nice multi-option card that can give you extra draw or extra Armor depending on the situation you face. Flobbidinous Floop: Makes a copy of the last minion you played but as a four mana 3/4. This works perfectly with Malygos as the stats aren’t important – you just need the spell power. A second Dreampetal Florist is a potential replacement. Twig of the World Tree: Not a vital part of the combo but it can give you a more consistent finisher, while also stopping your opponent from having a turn to prepare after you drop Malygos. As above, another Dreampetal Florist can serve a similar purpose. Arcane Tyrant: With all the high cost spells in the deck you can easily get this out for free and make a late game tempo play. Malfurion the Pestilent: A powerful late game hero card that gives you more stall with the scarab option. Also, the improved hero power gives you more lasting power in the game’s closing stages. Alexstrasza: Can make executing the combo with Malygos a lot easier by slicing down your opponent’s life total to 15 the turn before. Malygos: There’d be no deck without it. If you can get one copy down the spell power boost is nice. A second one and your opponent stands no chance. Ultimate Infestation: A strong late game spell that can help uncover any remaining parts of the combo still hiding in your deck. Army of the Dead	Remove the top 5 cards of your deck. Summony any minions removed. Misspelled summon. Just a heads up! @Bedders Can Ixlid have a place in this deck? Here is the Malygos Druid deck list you should be playing ahead of the Boomsday release. Thanks for your patience as we try to get ahead of the launch chaos a little early, and do ask me if you have any questions about playing this version. Do an @ Bedders without the space so I get a notification. @UUUNREAL I've not seen anyone run with this tbh as FM's primary job is to duplicate Malygos. Given the survivability options you have plus late-game card draw through Ultimate Infestation I think statistically one should be enough. Obviously you're going to have runs of bad luck when it comes to finding Malygos but it seems OK as it is. If you make any changes that work out for you though it would be great to hear what you've found! Just wondering if the jade idols are necessary? Seems like a silence or 2 or 2nd swipe may be a little more useful. Any feedback is appreciated. @RedRocket131 Hey sorry for the delay in replying to you. I've been on holiday for the last week or so and just getting the site up to speed for the September meta. I think what you're suggesting is definitely viable and this deck list is a very early version for the Frozen Throne meta. I'll be looking into the latest version of the deck shortly and I wouldn't be surprised if I come across a few that have travelled down this very road! @martel2010 Not really, but I will not I often don't draw into him and win anyway. Losing him won't ruin your win condition, he just makes it more likely, especially if you end up having to use innervates early to protect yourself. @RenegadeFLIP I still use thalnos, but for spell power I also have evolved kobold, He's pretty sweet to help control the board with spells, and I've even used him to finish off face with a couple swipes! and moonfire's 18 damage is no joke! especially since you can often manage quite a bit of damage just with the minions against specific decks. I haven't really tested malygos alone after gadgetzan. I'm currently running a jade maly hybrid that does decently. is it okay to change baron with harrison? @PerfectFaro Yep, sorry, those were accidentally left there in the table tweaking. This deck has 32 cards. I assume the second set of Innervates are redundant? @martel2010 Not without quite severely hobbling the power of the deck I don't think. He's there so you can drop your Malygos and a load of firepower onto your opponent on a single turn - and there's no substitute for that effect given you have the Innervates already. Sorry if I don't reply to any follow-up questions for a while by the way, as I'm neck-deep in BlizzCon coverage at the moment! @JustSaiyan i would craft fandral first. @Bedders yogg seems to be in same place as before nerf, a little bit weaker but still standing. I already experienced yoggs that killed themselves by first spell, but odds are still on our side. Its better for us to yogg suicide than cast astral communication what he is able to do since created. @aychexsee Honestly I don't have a firm opinion of him yet, post-nerf. My gut feeling is that he'll carry on doing what he does as some kind of comeback mechanic, just not as ridiculously useful as before! In my day-to-day play, I don't play a lot of Yogg decks so I'm kind of waiting for a consensus to emerge along with everyone else. Sorry I can't be more helpful! Hopefully someone with a greater affinity for him will be able to shed some more light. @Bedders you guys have any idea what do to about the substitution on yogg? since the nerf on him, its rather disgusting what happens. @Klck Yeah it's really tough to pick the definitive version of this deck right now. I'm going to keep one eye out on this to see which proves to be the most viable version - I really don't want multiple takes of the same thing on the site if I can at all afford it. Apologies for being quiet over the last week or so btw, it's a very busy time at the moment and it's sometimes tricky to stay on top of all the latest! There are much cards which would fit in here, but theres no space. Every single card here is a core card or auto included. Malygos druid is deck im playing the most this season and my version is 100% same as Yours. @Lokojet hard to find anything to replace yogg. N'zoth with some taunt minions is a way, but surely not in spell based deck. If i would be in ur position, i wouldnt look for yogg replacement but just +1 card, and probably cheap one, beeing faster is nothing bad. I would recommend "mulch" as its really good and not considered here. If you dont have and dont want to craft it, 2nd portal is a budget option. I crafted N'Zoth, however it was not strong as I thought in order to recover. @fanap i wouldnt play any druid without fandral. @Lokojet Actualy Yogg got wrong name, he should be called hope begining. Its not a wincon, i would rather say "not losing condition". You dont use him to win, You use him to ressurect from lost position. You can play without yogg as he isnt core card here. Yogg is fun but I always end up hurting myself with it. Who would you guys sub in for Fandral if you haven't crafted him yet? @Blazev@Bedders Thanks for your comments. I think I won't place him in my priority list for now, it may be really fun but I have to craft some others before like Thalnos and Leeroy. I also would like to craft Harrison Jones but not sure if it will be really needed (thinking in Medivh staff and Spirit Claws), you think so? In addition, do you think Medivh would fit in this Maly Druid Deck? @Lokojet This deck is a bit of a new kid on the block at the moment, and is everyone's hot new tip - but who knows for how long? I would always advise holding back on crafting expensive cards if you've a limited amount of dust and the deck archetype hasn't been established as strong for at least a month. hey there! In my opinion this kind of decks are more fun than competitive. I never tried this specific deck but all the maly-based decks i have tried so far did not reach a very high win rate on ladder, however there are many matchups when you draw good and beat any deck, and by beating i mean smashing their "gutts" like no other:)). yogg-saron on the other hand is a win condition on its own sometimes and can make in a whole lot of decks these days even if sometimes the RNG isnt in your favour, i would say most of the time it is. Its up to you to decide if its worth crafting him. Good luck! Hey guys, this deck looks really nice. Actually I don't have Yogg Saron, would you highly recommend me to craft him despite nerf rumors or ban in some tournaments?? If so, I would like to use him in many different decks, for example I'm thinking in a hunter deck with Lock and Load, it may have good synergy with Yogg Saron, however I haven't seen this deck in the ladder or tournaments, do you think it would be good as competitive?